← Is Tell Ḥesbân Heshbon? If not Tell Ḥesbân, where is Heshbon? If Tell Ḥesbân is not biblical Heshbon, then the pool uncovered by S. H. Horn is likely not the pool mentioned in Song of Solomon 7:4. If Tell Ḥesbân is not biblical Heshbon, then where is biblical Heshbon? Roman steps and market area at Tell Ḥesbân. Photo by Ferrell Jenkins. Remember that we are looking for a town of Moab, and there is no evidence of the Moabites at Tell Ḥesbân. Because not every reader of this blog speaks Bronze Age and Iron Age, I think I should list the general dates of these archaeological periods (following J. A. Thompson, The Biblical World (ed. Charles Pfeiffer). After this disappointing series of digs, the Madaba Plains Project was formed and the search for Heshbon continued. Four Late Bronze sites were found within a 6 mile (10 km) radius of Tel Hesban; Tel Jalul is the biggest and thus the most promising site. 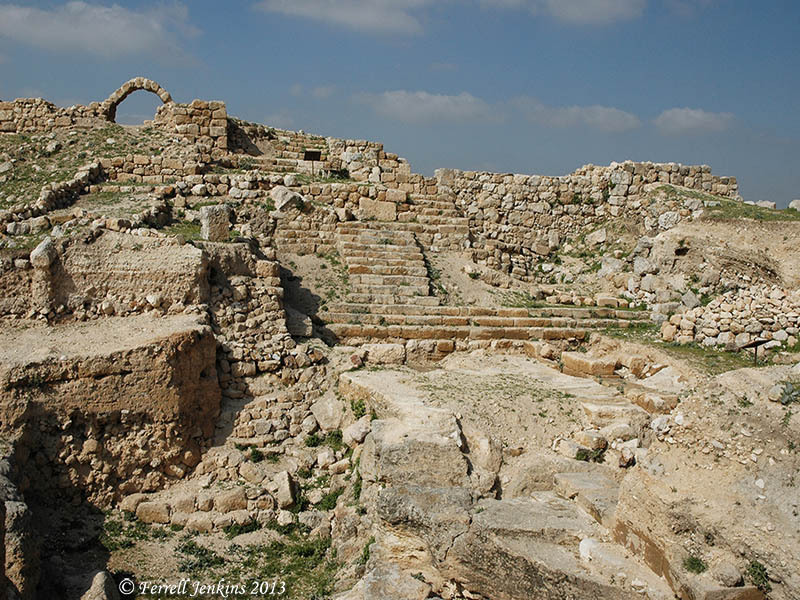 Tel Jalul is the largest site in Jordan south of Amman. Three possibilities exist for the location of biblical Heshbon: Tel Hesban, Tel el-Umeiri, and Tel Jalul. Hesban preserves the name, which makes it a good candidate, but it lacks archaeological evidence. The PLBL collection includes photos of all of these places. 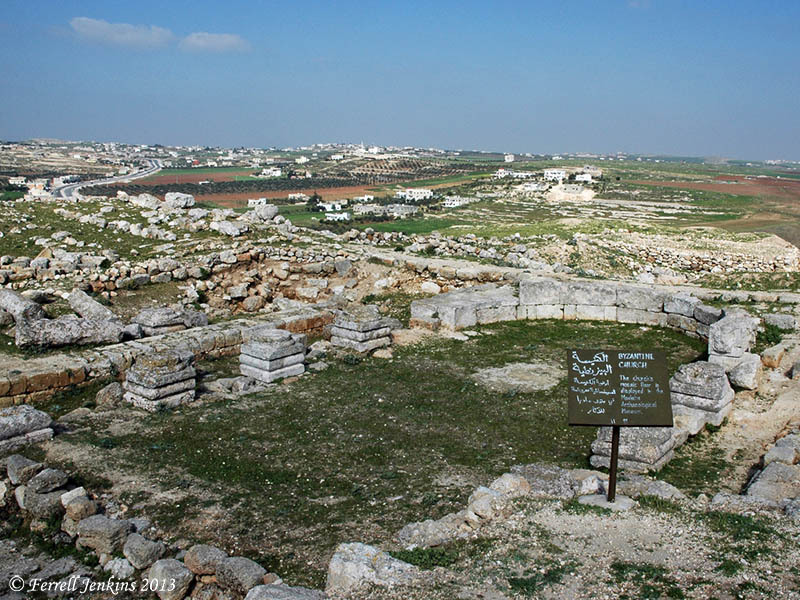 The Institute of Archaeology Siegfried H. Horn Museum at Andrews University maintains a helpful web site that includes information about the Madaba Plains Project here. Byzantine church at Tel Hesban. Photo by Ferrell Jenkins. The photo above shows the ruins of the Byzantine church at Tell Ḥesbân. Tel Jalul may be seen in the distance. Look for the long, plain “hill”, on the top of the hill on the far left of the photo. This entry was posted in Archaeology, Bible Places, Bible Study, Church History, Israel, Jordan, Old Testament, Photography, Travel and tagged Moab. Bookmark the permalink. I am from Hesban, and I some how believe that Hesban Is the one mentioned as Heshbon in the bible since there are a lot of evidence that no one of you knows about.